Deputy Mayor Robert Zimmerman urged everyone to keep up with their health to prevent, and address, issues quickly. From left: Courtney and Tom Turk are presented with a proclamation on American Heart Month as Deputy Mayor Robert Zimmerman closes on his personal experience with the widow-maker (Krystal Nurse/The Sun). 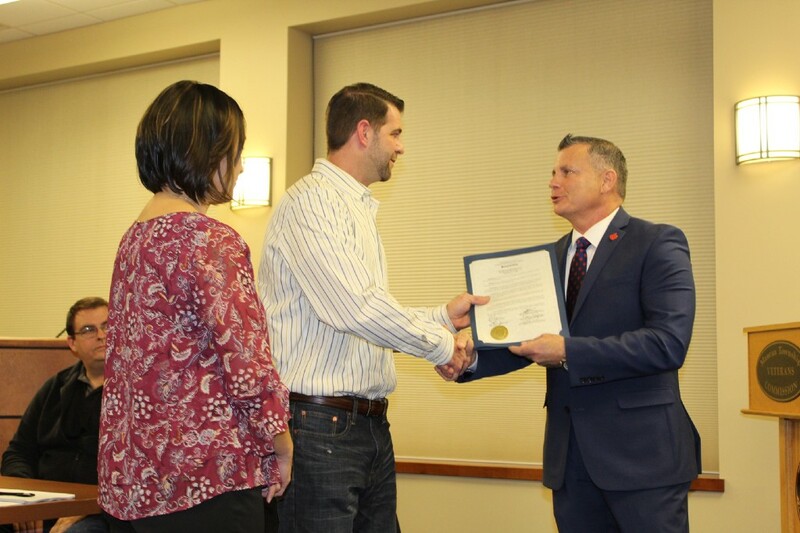 Two proclamations were issued at the township’s committee meeting on Feb. 4 commemorating American Heart Month and honoring a police officer for her dedication to the job and community. Deputy Mayor Robert Zimmerman presented the proclamation on American Heart Month and prefaced it by stating it’s personal for him because he received surgery for the “widow maker,” a blockage in the left anterior descending artery, a main artery that delivers blood to the heart, nearly seven years ago after a physical at the Pitman Police Department. “I’ve been fortunate enough to survive and have a little bit of a platform here as deputy mayor, and I’d like to be able to put my story out there in hopes that it will help other people take measures to prevent what I went through and maybe save their lives,” said Zimmerman. He also introduced Tom and Courtney Turk to the committee, as he looked to have a Mantua resident who was affected by a heart condition speak during the meeting. Tom had a blockage in his right coronary artery last spring at 40 years old, and underwent surgery in under 48 hours of developing symptoms. 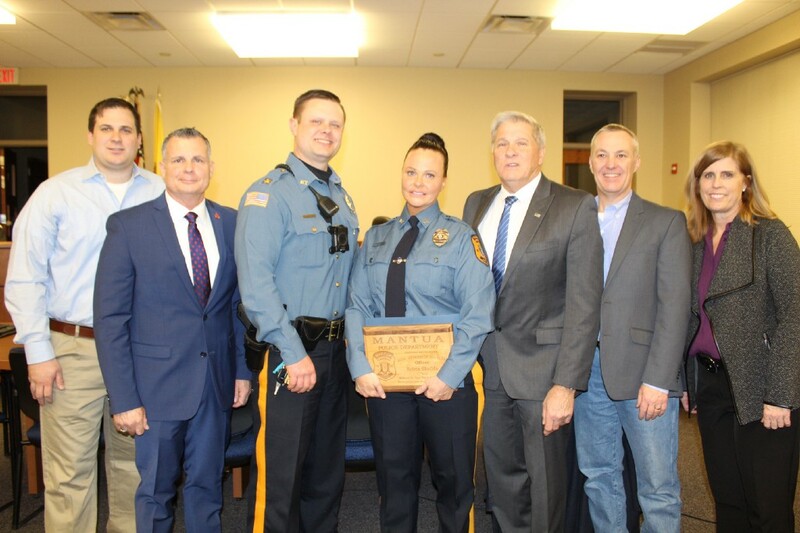 Patrolwoman Krista Shields is pictured with the township committee and Chief Darren White, right of Shields, as she was honored as Officer of the Year (Krystal Nurse/The Sun). Courtney, Tom’s wife, was one of Zimmerman’s health-care providers when he was recovering, and she spoke briefly reinforcing Tom’s statement on people to listen to their bodies and their doctors. Shortly thereafter, Patrolwoman Krista Shields was presented a proclamation by Mayor Pete Scirrotto and a plaque by Chief Darren White for being named Officer of the Year by her fellow officers. Shields is the first woman to receive the honor and is the department’s only female officer, according to Scirrotto and the township website. 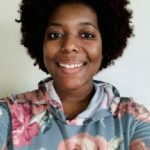 Scirrotto remarked how Shields keeps a balance of both empathy and the demands of her job when dealing with situations and is well-versed in the community. The repaving and striping of Tylers Mill Road has been completed, and Mantua Creek is cleaned up from a December oil spill following a motor vehicle accident on Route 55. Public Works Supervisor Steve Alexander gave a presentation on what the department has accomplished, which included cleaning up the garage, sprucing up the department’s front office, creating a new command center as well as showcasing days where employees relaxed with holiday work events. The police department is in the process of hiring chaplains who will provide comfort to both the department and the public, and assist in community policing. White provided the department’s stats on the state’s holiday “Drive Sober or Get Pulled Over” campaign: 447 stopped vehicles, one DWI ticket, 14 seat-belt tickets, three child restraint tickets, 10 careless driving tickets, 21 fugitives apprehended, 16 suspended license tickets written, eight speeding tickets, four reckless driving tickets, 10 drug arrests and 158 tickets for other moving and non-moving violations. Township Administrator Jennica Bileci said township calendars should hit mailboxes shortly, and she hopes to get 2020’s out sometime in December. The next township meeting is scheduled to occur on March 4 at 6 p.m. at the Municipal Building.